If you want more customers then you need a marketing funnel. 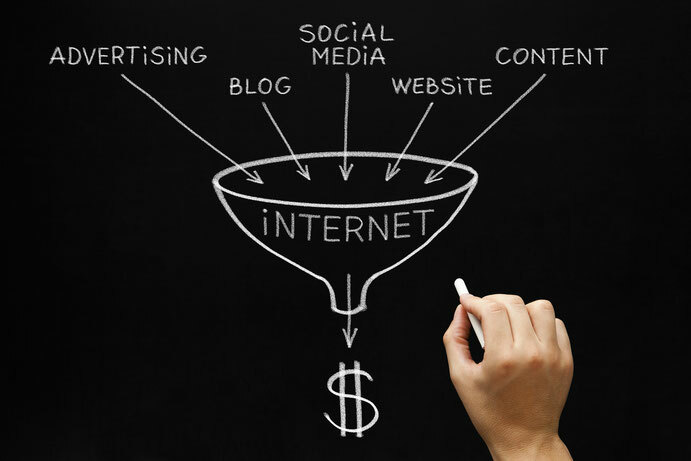 What is a digital marketing sales funnel? A digital marketing sales funnel is simply the process that a prospective customer goes through from the time they first become aware of your brand until they make a purchase from you. What is the big deal about marketing sales funnels anyway? The big deal about marketing sales funnels is that your strategy needs to change as your prospective customer moves through your funnel. What are the stages of the marketing sales funnel? There are 3 basic stages of the marketing sales funnel. The evaluation stage is targeted to a warm audience. Your audience is aware you exist – they may have seen you on social media, visited your website or blog, or perhaps they have visited a landing page. At this stage, your prospective customer wants to learn more about your products or services. The conversion stage is targeted to a hot audience. Your audience knows who you are and, ideally, likes and trusts you. They are almost ready to make a purchase but they want more detailed information that they can use to compare your products or services with your competitors, they want answers to their questions and objections, and they often need an incentive to take the step of making the purchase. Ready to start building a marketing sales funnel for your business? Contact us today to get started!